This entry was posted in Creations From My Craft Room, Daily Life and tagged blessings, decisions, Happy New Year, review, words by thecontentedcrafter. Bookmark the permalink. Happy New Year Pauline! All three words are wonderful – settle, create and breathe 🙂 I know you will have a splendidly successful 2015! I know what you mean about 2014 – where did it go? Yikes? AND Tom Selleck is 70??? I’m still trying to get my jaw off the floor. ps. your ‘art space’ is perfect. I moved to the ranch almost two years ago, and it still feels crammed and small and packed with too much stuff (we downsized in terms of house). It occurs to me that maybe I can use my word for the year (Playful) and make a game of lightening up. I like your word for the year ‘playful’ It is a very good word! Just think of the other people in the world who could make wonderful use of your unused items. Someone out there is waiting for just this very thing …. how playful a thought is that? I am totally in love with my art room – it is a fabulous space and I am so fortunate to have it! And Siddy, it has to be said yet again, is possibly the best puppy in the entire world! 🙂 Again, I appreciate my good fortune! I like that you adopted the word ‘settle’ for last year. I can sure relate. It really free’s you up for time to do more creative things if you aren’t constantly looking to move. Or that’s what I found anyways. Living out of box’s can be somewhat depressing I found. I enjoy being surrounded by special things, collected or gifted over the years. Maybe you’re a ‘nester’ too. I sure am. This includes the outdoors as well as the indoors and I can see you settling both. Maybe you can still rent a seaside cottage once a year for a week or two as a sort of ‘stay-cation’. New Zealand looks like the perfect place to holiday so you never really need to leave. I’m very envious. Alberta is not exactly a tourist destination unless you’re traveling to visit the Rockies. There’s are good things about not being a homeowner. One, you can move whenever you wish if an unbeatable opportunity pops up. Two, you don’t have to do the home maintenance. Three, when appliances or heat pumps break down, you don’t have to spend your money to replace them. No, I’m up and having first coffee while pets eat first breakfast 🙂 Yes to the ‘no maintenance costs’ of renting. There are always pluses! I am a nester and the process has been all about it being okay to nest in a rental, when for most of my adult life I owned. It took me a while but I got there. It must be such a wonderful feeling for you to come home to your own nest every day now and to be free to unpack and arrange and create as you wish. Isn’t it amazing how the move coincided with the job too? It was like everything came together after a long period of waiting! I like when life shows us that all good things come when the time is right! Siddy was gifted a child’s happy face cushion yesterday and he has been carrying it around with him ever since – it is so cute! Change is as good as a rest, true that. Fantastically inspiring my dear and I shall return in the morning for a proper message. xo Nighty night. What a beautiful and heart-warming post, Pauline. You’ve spread out so much wisdom and shared such lovely inspiration for the upcoming year. I seriously felt my own soul lightening as I read through your inner journey. I can only imagine the mass of creativity and accomplishment that will flourish in this welcoming breezy space of yours. I wish you a very healthy year in which all of the above will bear fruit. And I look forward to being here to have a taste of it. This was a year long process, for much of the time I was whining about not getting things done and finished and so on and so forth. All the time I was digging deeper through the layers without realising where I was really going. I was ready to ‘settle’ and ready to ‘shed’. I’d carted that stuff around for ten years, waiting for a dream to come true while not realising – not wanting to see – I could make something I already had fit the bill just perfectly. The time was right and I was ready. awww….your right- it did sound like I was beating myself up, but really I am feeling a bit trapped by my “baggage”-lol. It is holding me back and I need to clear some space, so I can breath + create in different ways.. As I read your post, I thought-hmmm-that sounds like me…when I am doing a project, I can’t find this or that or can’t get this or that done because I forgot where that or this was! I’m sorry I was not here to respond right away – life interfering with blogging! Tsk-tsk!! When I read this the important bit that jumped out was that you are feeling unsettled. That’s a sign. Yes, this is much clearer – the first response was needing to set goals and needing to find out what they might be and sitting on fences – which is never comfortable 🙂 The thing is to have that slightly off kilter feeling, to feel something is missing, to know what that something is and to quietly set about doing what wants to be done. This inevitably leads to the next stage and phase and slowly something is allowed to unfold. So if you feel you are holding on to stuff, start sorting it out and give it away, donate it, sell it, trade it – whatever – just get it gone. .I had three separate stages last year which I thought was hilarious in hindsight. I spent ages sorting through what could go and what needed to stay and got the first stage complete. A couple of months later I did it again. items I had previously thought myself incapable of parting with, went. The final stage – it all went. I didn’t sort and sift – I knew what was there and it didn’t need to be. If it was in a box in a cupboard, it went. If it wasn’t in a box it went. Stuff that didn’t even know it was in danger found itself living somewhere else. Now I wonder why I kept it all these years at all and why I didn’t let it go sooner. I guess the answer is I wasn’t ready. If you need to make yourself a create space set to and start work. Creating the create space can be a very satisfying and creative job – so be okay with the time it will take. My advice is make it speak for you and to you. This is very exciting Robbie – perhaps you have reached the stage in your garden when it no longer requires all your attention and energy all of the time. It is releasing you and allowing the next step to make itself known. …………….. I am so blessed with this post, Pauline! I have lived in a one bedroom apartment for 8 years now. I shared it with my then-college aged daughter for two years. I believe everything I have in this home has a meaning and purpose to my life. I enjoy the toys for grandies and also, my memorabilia that I did not give or sell of ‘pittance’ special enough to hold on to. I enjoy time and space, I enjoy fellowship and friendship. I value real friends and truly blessed family members, too. This is a busy time for everyone Robin – I did not give your absence a thought 🙂 I knew you would come by when you could and if you wished to – it is always nice for me when anyone decides to pop in – especially when they stay for a chat! I think it is wonderful that you have a small home too and are surrounded by beautiful things you love. I think it is important to live in beauty – whatever that means to anyone and it is so subjective – I feel really strongly that lack of space and lack of cash does not mean you have to live without beauty. I am always feeling that the place where I live is just a stepping stone to where I like to go and someday hope to go. Forgive me if this is redundant – I tried post it yesterday twice but it didn’t ‘take’ – did I land in Spamland again?? You got spammed not once. but TWICE!! It must have been anti-lawyer day or something 🙂 I apologise for my errant Askimet’s behaviour because you were bunged in there along with all the anonymous trolls trying to entice me to click on their links. Now I’m wondering how you made it through safely today! I took my lawyer hat off! Isn’t it funny how we manage to live, often for a very long time, with hopeful dreams for the future but discontentment with our now and the realty of how lives, always wanting something different. I too need to settle myself this year so this reasonated with me..I have felt pulled in too many directions this past 6 months. Happy New Year to you and Roger, Wendy! You are exactly right – I lived most of my younger life waiting for my life to begin. 🙂 I thought I’d gotten past that and then became painfully aware that I kept falling into a state of wanting – which means I was then dissatisfied with what is. I hope you can settle into what is the right way for you and hopefully keep working your magic with your soaps and creams. I know you are very busy and it seems your well honed social consciousness and ability to organise things might well put you in positions you would rather not be in and then it becomes hard to work with joy ……….. I’m just intuiting and may be way off the mark. Intuited correctly 🙂 I have been thinking of how to start a post for this year and can’t quite get the right words so it might be a tomorrow job lol. My year started very similarly to how yours has gone but my need for some peace and quiet to do it in went way out the window…..I have felt stuck in limbo while being frantically busy at the same time lol. Reading this post is truly a breath of fresh air Pauline! You always have a beautiful way of describing things. Happy New Year! PATTY!! [Holds arms wide and rushes in for a big hug] How lovely to see you back here – are you posting again? You are missed and I often wonder what delights you might be creating. I’m so happy you liked this post – thank you. Hello Pauline, I’ve enjoyed reading this post very much. Lots that you’ve said rings a bell for me, and some was even a big gong going off as if saying …” are you listening, pay attention”. I loved Marlene’s comment about when we have deep contentment and gratitude the rest flows…..thankyou Marlene, although I “knew” it I had to hear it again. 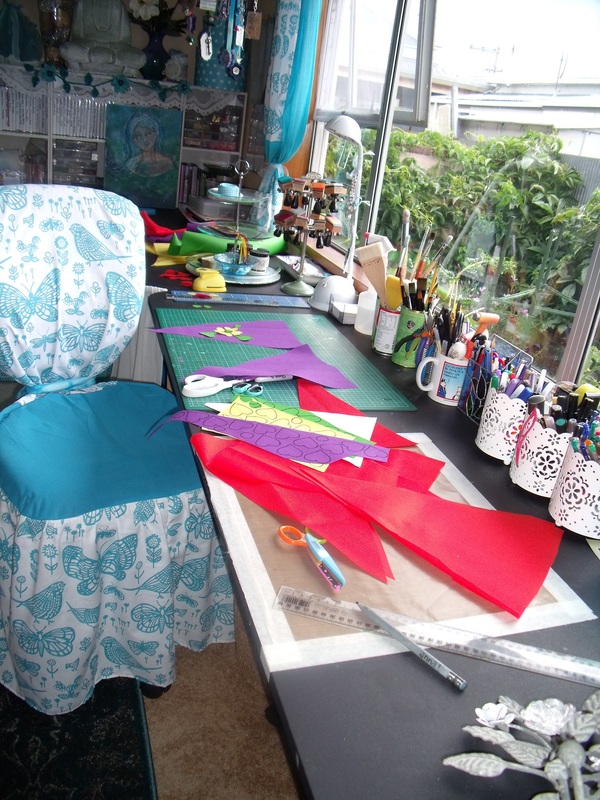 Your creative space is delightful, and I love the look of your bunting, it’s going to be so colourful and cheery. I’ve nearly finished mine as well…..perhaps a sneak peek on my blog would be fun….so I’ll be wanting that address soon too. Thanks for a thought provoking, inspiring post. Wishing you a wonderfully creative new year. Thank you too for your kind words about my post – I simply write what’s in my mind and heart and share my little self discoveries with whoever comes along to read ’em 🙂 It makes me happy to hear you take some inspiration from these words and my view of life. Best wishes for your journey through 2015 – whatever happens, it is all for a purpose. You are my hero when it comes to acceptance of the status-quo Ms Pauline. When our dreams come out of our heads and we turn them into reality, whether they are exactly the same as those in our heads or not, we are making a start on a new and most exciting adventure. It took me almost half a century to work out what this living thing is all about and I am not even sure I have a real handle on it now BUT I am eager and willing to learn and that’s not a bad place to be in…OH that bunting looks scrumptious! What an amazingly lucky Tasmanian person and OH how grateful she is going to be, err…whoever she is! (Ahem! 😉 ). You have more space than I do and I am slavishly and most positively Germanic in my need to minimalise. I love how organised you are and how beautifully everything works together. You are a girl after my own heart with those mugs full of “stuff”, I very rarely use the things in my cupboards for what they were intended for. My glasses are usually full of cuttings (thus making my mugs glasses by default 😉 ). I remember back when you were despairing of ever having a centred home again but slowly Orlando caved and I am assuming that the status-quo has been reached. It is amazing how time mellows things isn’t it? Congratulations on retiring. I think I retired about 10 years ago but am not quite sure. I have been studying ever since and am not sure where studying sits on the chart. I am most pleased to think I am your hero. Do I get a cape I wonder? I should like a cape very much…… and a mask. Oh, that’s a SUPER hero. Darn it! I am not at all Germanic – I am definitely gypsy. A tidy gypsy, but a gypsy none the less. It’s just that my caravan doesn’t have a horse. I got the most delightful Christmas card from my friend this year with a gypsy caravan on it and I think I want top try and scan it and make it my blog banner for the year. And the reminder of the pain poor Orlando endured six months ago when Siddy arrived so abruptly on the scene – I had forgotten about. He lived on the fridge for the first three months. He travelled about the place without touching the floor and everything got moved to accommodate his need for height and space away from the boundless enthusiasm and rampant ignorance of boundaries that was the new puppy. The thaw was gradual and some things happened so slowly even I who was on the look out for them, did not always notice exactly when something changed. I do remember the first time they met on the floor without O having a nervous breakdown. And the first time they touched noses and the first time O bent his head down so Siddy could lick his ear. And the first time they shared a chair without O having yet another meltdown. Now they tussle to see who gets to sit on my lap in the evening and who can sit the longest on the floor, side by side, without movement – Siddy always loses! Orlando has learnt to line up judiciously when the treat drawer is opened so that he too gets a little something even though he has done nothing specifically ‘good boy-ish’ to earn said treat. This is the best post I’ve read this year so far. You inspire me. I’m a bit behind you but the process is similar. In other areas, I’m a bit ahead. I remember last year sitting in my apartment thinking I had found the best one ever. I loved it and made it my own. Thinking I would be happy to stay put and be perfectly content with it till the end. That’s when this place popped up. I think when we have deep gratitude and contentment with what is, the rest just flows in. Being open to the new while in deep appreciation of what we have seemed to make all the difference. I’m finally starting to settle here but if Alys showed up and saw all my clutter, she would have a slight (maybe large) fainting spell. I want to purge so much more and that’s what will happen throughout the next year. I’ve given away SO much this year but as I look around, SO much more needs to go. I put up Christmas this year to reorganize it and to see what needs to move on. I’m going to take some time this week to look at my numerology chart, astrology chart and do some deep meditation while waiting for my son to move in. 2014 has been a year of transition for almost everyone I know. I’m hoping 2015 is one of culmination. All the energy expended finally brought to fruition. I have my home that I can share with those who need a resting spot. Now I want to complete many of the creative and personal tasks I had set for myself. 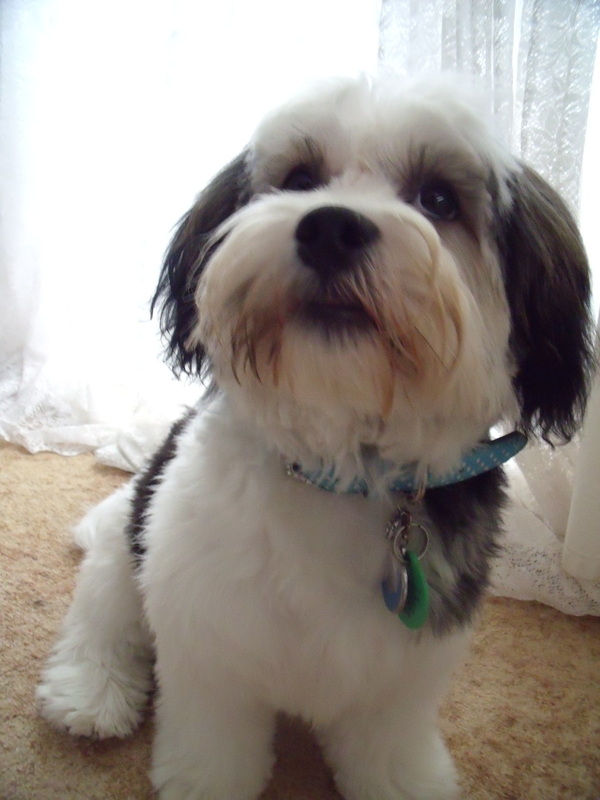 Happy New Year Pauline and squeezes to your fur babies.You always give me food for thought. Thank you for being the kind and wonderful person you are. It may be that our paths are similar because we are both early Virgos a year apart 🙂 This could be very interesting. I am so curious about it all. You had a productive year, and may 2015 be even better. Happy New Year! Pauline, BIG congratulations to you for such an “active” year. Your words are action words. You decided to begin living in the present moment. You decided to let things go, both tangible and intangible things. You set goals and worked hard to accomplish them, and you created a lovely home and space for yourself. You’ve shared yourself with us and made us all fans and followers. I look forward to following along this year. Hi Pauline, I was very impressed by the photographs of your workspace. I am sure you spend many happy hours there. Isn’t it wonderful – retirement. I recommend it to everybody 🙂 Thank you for coming by my blog Margaret and taking the time to make contact – it is much appreciated and I hope you will visit again! Gracias 🙂 Feliz Año Nuevo! Hi Jenny, Happy New Year! Now that is very good! Please will you share your chosen word? The real fun part is the retrospective where you get to check out and see what life really gifted you – is it the same word or will another appear? Wow, it’s lovely to hear about how lovely your 2014 has been, and I’m sure that you’ll enjoy 2015 just as much, of not more! Aha! Yes, you have the date right and isn’t it nice to know I’m text book tracking just as I am supposed to. Certainly last year appears to have been right on track and the words are exactly right for the leit-motif of the year – which even I did not know I was involved with until I got to the end and did my retrospective. ‘Four’ years are usually challenging for me because I’m not good at sticking with things to deepen them – I’m a will’o’the wisp, a dilettante, a player not a star. So I am fascinated to see I have signed up for the hard yards in a 4 year 🙂 Perhaps the times they are a’changing! Thank you for taking the time to look me up and give me that picture, You are a gem! What a beautiful post, Pauline. You really are an inspiration. The understanding of yourself, of life, and of people….well it’s absolutely inspiring! It takes a lot of courage to dig deep and and you seem to have done that in such a marvelous way. May 2015 be a fabulous year for you I look forward to reading more of your journey. I am glad you are here and thank you for your kind words and active participation in this blog. Have a most wonderful new year and I wish you all the best for 2015. I’m moved to tears by your post, Pauline. You are a profound breath of fresh air. It clearly was an extraordinary year for you. You’ve opened your heart and your soul and wonderful things flowed in: a smart and adorable companion named Siddy, a glorious garden view, healthy and delicious eating from the soil you tend and a new car to move around in your retired world. Your space is lovely. Settle. Your golden word for 2014. I’m excited to hear more about your class and delighted you’ve been able to recreate your craft room into a more viable, and certainly beautiful, space. It was charming before, but now it speaks to the you of now. Enjoy all the wonderful things the year ahead has to offer. I’m so happy to be a part of your circle. Thank you dear Alys – you always make me feel seen and understood 🙂 The definite theme really only became so clear as I was writing – this is another gift of retrospection I suppose. I am now going to be interested to see if my chosen words carry through or if they are usurped by some other process that organically occurs. In a years time I shall have to remember to look back here. I shall do my best to remember to breathe deeply throughout the year – no matter what is going on. And I am deeply happy that you are here with me, thank you! Thank you Maureen. A house fire will certainly place the important matters to the fore! Have a wonderful year and I look forward to seeing more of your stunning photography! Happy New Year Pauline 🙂 Heres to a creative 2015 ! Thank you Joe and a Happy and Creative New Year to you too. Hi Pauline, I enjoyed sharing 2014 in the world of blogging with you. I love that you have settled in nicely in your home that is not by the sea, but peaceful and charming as if it were by the the sea. I like it that you have a new feeling of lightness as you parted with physical and emotional stuff. I like your new words for the 2015…create and breathe. Thank you for all the inspiration you’ve given me this year. Thank for your sharing your gift of creativity with me and the rest of the blogsphere. I wish you a fabulous 2015! May good health, warm friends, and contentment be your constant companions. Very beautiful. I am quite a bit like you. Siddy, as always, is precious. Happy New Year SS – have a wonderful 2015 and may all your projects work out exactly right! Your post is a great reminder to us all . . . “bloom where you are planted.” Enjoy waving farewell to 2014 and giving a warm welcome to 2015. Thanks Nancy – I have waved and I have welcomed and am blooming quietly 🙂 Have a wonderful evening eating all the chocolate you can both before and after the fireworks display and may 2015 bring you the best of your dreams! Thanks! We’ll be diving into some chocolate soon. Wow–what a great post, Pauline! I wonder if, had you chosen your word at the beginning of 2014, “settle” would’ve occurred to you? And yet it turned out to be so perfect. I like that you made the decision to be happy and got on with it–no “would’ve, could’ve, should’ve” for you! Happy New Year to you, the sweet dog boy, and the gorgeous cat! You are correct Kerry – ‘settle’ is not a word I would ever have considered – especially given all the connotations of it! yet everything [except the legal meaning] has some relevance to the process. Intriguing how things transpire isn’t it! Happy New Year to you and your wonderful spouse too! What a lovely post… I too am being creative with Tasmania in mind… although I have deviated from the original plan… well, that’s creativity for you! I’m going to need those two addresses from you soon! 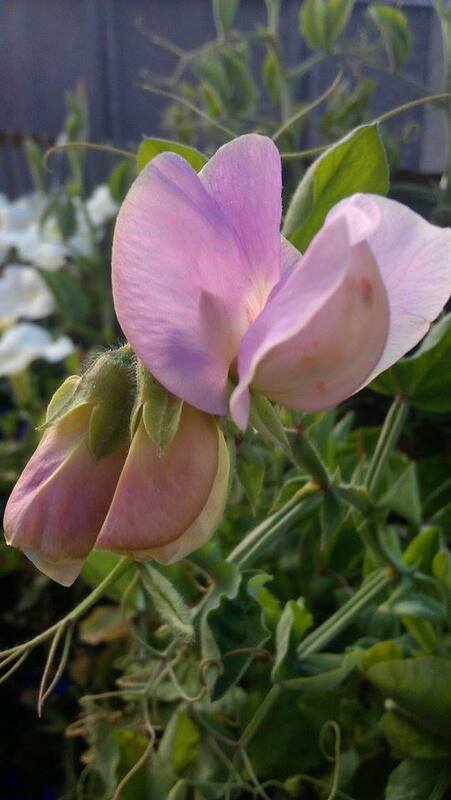 I am so glad you have settled…now you have taken root you can really blossom! You realise you have just given me permission to go all over the houses with my contribution? 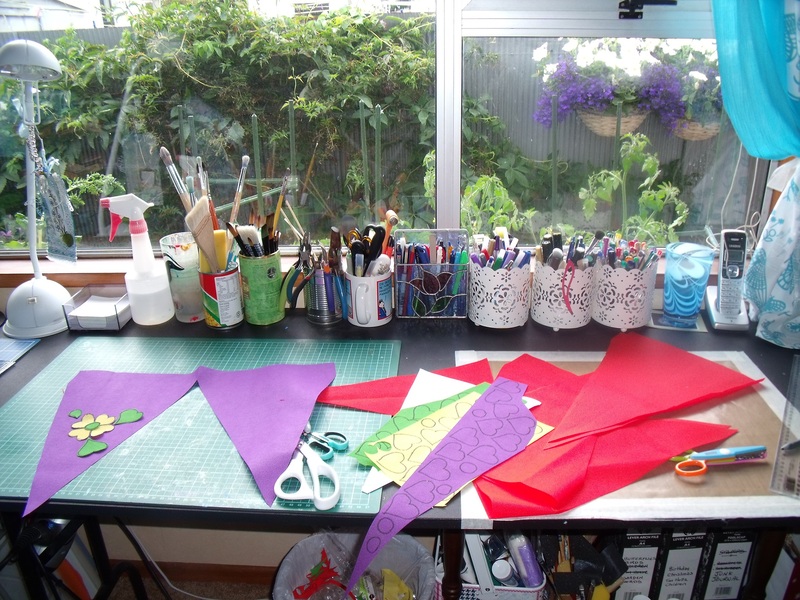 I have had such difficulty making bunting – it simply doesn’t inspire me. Who knew! But I have promised myself to get the major part completed by tomorrow evening……. I have an art course starting the day after! This is such a moving post. I know a cottage by the sea would be lovely, but you have a rare talent for bringing beauty to your surroundings, wherever they might be. You have been such an inspiration in 2014, and I wish you (and Siddy, and Orlando) all the joy and creativity and love and peace in the world for 2015. You deserve it. The pictures you sent me sit on the wall of my study, and make me smile. Thank you. Beautiful.. inside and out, you, your space and your blog. I enjoy reading about your adventures and seeing your extra cute pup and oh so patient and handsome cat. Who needs magazines when I have such wonderful blogs to look forward to 🙂 Thank you for sharing your journey and I really look forward to reading next years installments. A momentous year. May you enjoy many more creative ones. I’m wishing the three of you a sparkling and prosperous new year. Love your blog and critter pictures, keep up the awesome work! How lovely is your creative space, especially in the way it looks upon your small, but flourishing, garden. My decluttering is ongoing. But I will get there and, like you, will be able to breathe. Your blessing is perfect; one of my favourites. Wishing you more contentment and peace in 2015, as well as wonderful creativity. Thank you Gallivanta. I have realised decluttering is an on-going process – one that has layers to it. I think I spent much of this year discovering another layer and another layer. I guess one could keep at it til there are no more possessions to sort through …….. Now there’s a thought! Happy New Year! A very entertaining thought, indeed. My mother’s hero is the Laughing Buddha, who only has a small sack and a staff. Seems to make him very happy.